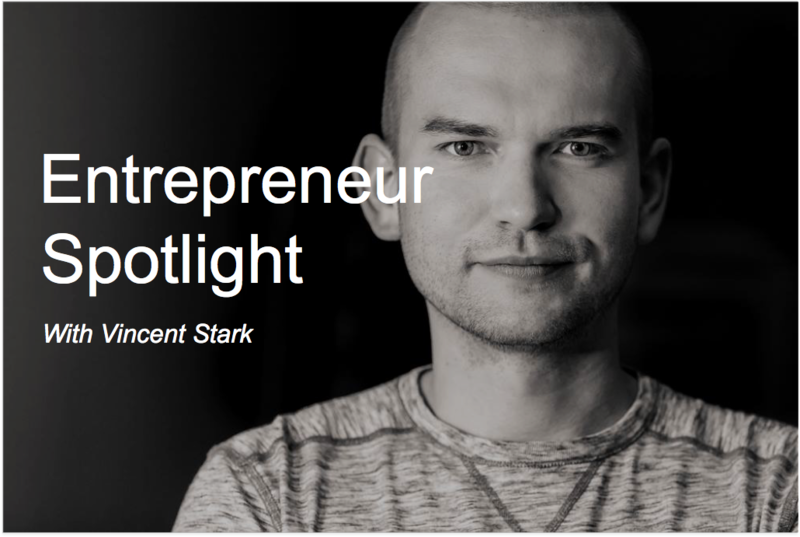 Vincent Stark, CEO of Xiveti Software Solutions, has been a technology guy since a very early age. He liked to take things apart… everything from toy cars to wall outlets. At the age of 4 (1988) he saw a computer for the first time, and at 7 he wrote his first program in BASIC. Since then, he’s worked at countless tech companies, was in charge of big telecom project deployments, helped Blackberry to build its first Internet of Things platform, launched an online grocery delivery service in Canada’s capital, and created Xiveti – a boutique software agency. These days Xiveti is empowering governments and Silicon Valley startups with the innovative technology and state-of-the-art software development practices. Vincent, tell us what you’re working on. Xiveti is a boutique software agency that helps agile companies to create sophisticated online systems. This was a natural extension of what I’ve been really good at, but it also embodies all the ideas of how I wanted to make the world a better place. So what’s the vision for Xiveti? The state of software development is miserable these days. There are places like Freelancer.com and Upwork.com, where you can find people who – very quickly and cheaply – will turn your idea into garbage. There are thousands and thousands of companies and individuals who do “programming”, but they do not really understand what they’re doing. Just as we speak, there are countless of entrepreneurs out there, whose ideas will never fly, because they don’t know how to implement them in software: where to start, who to work with, and what to expect. My favorite moment is always shipping a very first version of the product – so called MVP (Minimum Viable Product). This is what we’re starting to build upon, in short iterations, improving it on every turn. Another thing that clearly differentiates us is expertise in highly sophisticated systems, that include Big Data, microservices, real-time systems, high-availability and geo-distributed setups. We work with a wide array of modern technologies, and we always stay on top of the latest trends. Why did you decide to become an entrepreneur? Even though we often do things that are about ourselves, this time I really wanted to make a difference. I saw that something was wrong, something had to change, and that I had what it takes to make it work. I saw being an entrepreneur as leverage that helps me to create better software, for more companies, empowering them to make this world a better place. Who were your biggest influencers? Was there a defining moment in your life? Funny enough, it all started with the Impossible Manifesto by Joel Runyon. It really opened my eyes so I could understand that the world is not a box that you’ve been put into, that your life path is not a narrow tunnel defined by your parents, society, or governments. I realized that I’m free to make the choices, and be fully responsible for them. I realized that I didn’t have to follow the program society created for me. Then, over the years, I deepened this understanding, but also faced some pretty tough challenges, including my two near-bankruptcies. In general, I think of life as a upward spiral: we might be doing the same things and make similar mistakes over and over again, but as long as the trend is upward, it’s all good – we’re progressing! In the last 12 months have you brought on any initiatives to focus or enhance the customer’s experience? As a service-based company, we’re always focused on how we speak with our customers every day. In this business – like in any other – the relationships are very important. You have to build them and nurture them. The main initiative was to beef up our quality assurance (QA) team and improve the process of shipping software to our clients. Now every deliverable goes through two stages of testing – automated (which we did before), and manual/regression testing that allows us to ensure there were no bugs introduced in the latest release. What types of digital marketing have you implemented in order to help grow your business? Up until this point, the main driver of sales was word of mouth. People know us, and they trust us. Having said that, I do believe that digital marketing – especially in an industry like ours – is a great way of getting more business. The competition is hard, but we have no trouble standing out and communicating our value. Did you experience failure along the way? What did you learn from it? Before starting Xiveti, I almost went bankrupt. Two times. The very first time it was a project with a hardware-based solution to automatically adjust temperature in your house using Internet-connected air registers. The hardware turned out to be too difficult to implement, and it was even more difficult to find investments at such an early stage. Lessons learned: have an advantage to begin with. It’s either experience, or connections, or both. If you have neither, you’re waging a really uphill battle. Another time it was a grocery delivery company, which didn’t start as fast as we hoped for with my business partner. We ended up spending pretty much all our money. Eventually we found a good service/market fit, and the company took off, but it was a couple of really difficult years. Lessons learned: realistic planning and a set timeframe for “cut-off” goes a big way. Where do you see yourself and your product in a couple years? We want to hire the best talent, the best people out there who enjoy working on challenging and demanding tasks. I want to build a truly global company, with offices in several countries, to ensure we’re using our best practices all around the world. Our company is also building a product that I expect will be of a high value to our clients, but I can’t tell you what that is yet. Give the readers the best entrepreneurship advice you have. It’s all about process, not result! You can get excited with the next big shiny thing easily. But in each and every – even the most exciting – industry there is a lot of grind. Lots of work that just has to be done, even though you don’t really like it. Maybe one day you can delegate it, but most likely that’s several years down the road. Don’t get into entrepreneurship to earn more money! If you want money – better get a cushy corporate job with nice benefits and a pension plan. But if you have this nagging feeling that something is not right with the world, something that you think you can change and that you are ready to suffer every day to make your vision a reality, then please – please – just do it! We need more people like you! Remember, this is a process you’ll be waking up to every morning. Better wake up to something you enjoy! While growing your business, have you come across any marketing tips or tricks to share with others? Listen with the intention to understand. That’s the biggest trick ever, and I’m still surprised that there are so few companies that actually do that. On a more technical level, there is a small chat window widget that you can put on your website. After somebody spends 30-60 seconds on your website, it automatically pops up with a message like “Hi! How can I help you?” creating an impression that there is an actual person on the other end asking you a question. You won’t believe how many people engage with this little window. And if they do, then you (or your employee) get a message, so you can immediately start a conversation, turning a website visitor into a warm lead. Over the course of my work, I’ve been asked for advice on how to find a good technical co-founder for a startup. While working on your project, have you come across any interesting bit of knowledge that you’d like to share? Out of recent things, I can recommend Situational Management II framework. It’s a pretty slim and efficient model to help you lead people based on where they are at in terms of development for a specific goal. What daily habits do you have that allow you to perform at your peak? Ah, Daily Habits! That’s one of my favorite topics. I truly believe that it’s what you do regularly, it’s who you become. Open a list of tasks and projects I’m to complete today and visualize how I’m doing them. This helps to get in the right state of mind. That’s what James Altucher calls an “idea muscle”. Sit down and write down 10 ideas on a specific (and somewhat random) topic. As you can imagine, I have tons of distractions every day. This simple habit helps me to do something important first thing in the morning. Try at least one new thing – no matter what! I do Crossfit, and I run. Eat Healthy. My diet is somewhat close to Paleo, with several modifications. In 6 years every cell in your body is replaced with a new one. So you’re literally becoming what you eat. Take breaks every 25 minutes for 2-3 minutes. What should an entrepreneur focus on? There are so many things going on that it’s very easy to get distracted! The most important thing is to stay present. Be always aware of your surroundings and your thoughts. It might seem difficult at first, but you’ll become better as your practice, and meditate regularly. To be present you have to force yourself to take breaks. Otherwise you get too caught up in something, and you get tired without noticing it. Then you’re starting to make bad decisions. Being present helps you avoid all that, and most of all – decide what’s the most important thing you have to focus on at this very moment. I don’t know you, so I don’t know what that is – but you do! Are there any book you would recommend? I’m Adam Akers, and I’m in charge of strategic partnerships at MWI. We are big believers in business karma. Of course we partner with companies when it’s a good fit, but we love to help everyone out by sharing information and helping them gain exposure. If I can help in any way, let me know!